A graduate of Kunitachi College of Music in Tokyo, Takayama has studied with Kurt Widmer, Olga-Walra-Koro, Tashimitsu Kimura, Jun Moritz, and Shizuko Tomita. She has also performed in the Internationale Mesterklasse Vaduz in Liechtenstein, the Stuttgart Masterclasses for Song at the Internationale Hugo-Wolf-Akademie in Germany, and in Academia Vocal Master Classes throughout Europe. 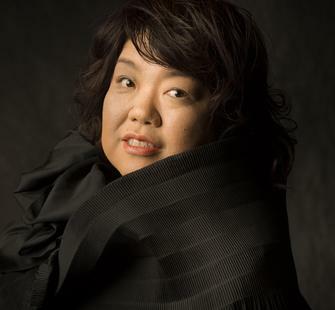 A prominent Alto vocalist in Northern Japan, Takayama has won awards at the 13th and 20th Yuuai German Song Competitions, the 13th International Mozart Competition, and the 5th International Opera Vocal Competition in Nakagute. She has appeared as a soloist seven times in Sendai’s annual Classical Music Festival and performed with many prominent orchestras throughout Japan including the Sendai Philharmonic Orchestra, Tokyo Symphony Orchestra, and Japan Philharmonic Orchestra. Her repertoires include “Symphony No.9” by Beethoven, “Messiah” by Handel, “Alto Rhapsody” by Brahms, “Requiems” by Mozart and Dvorak, “St Paul, Elijah” by Mendelssohn, and “St Matthew Passion, St John Passion, Mass in B-minor” by Bach.